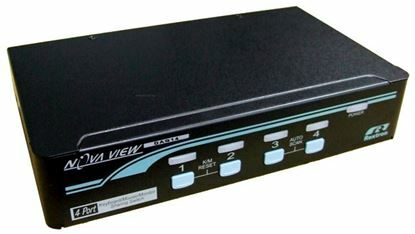 REXTRON 1-2 Automatic VGA/USB KVM Switch. Share 1x USB Keyboard/Mouse REXTRON 1-2 Automatic VGA/USB KVM Switch. Share 1x USB Keyboard/Mouse & VGA Video with 2x CPU''s. Mic & speaker audio ports. 4x USB Hub for sharing peripherals between computers. Hot Key Support. 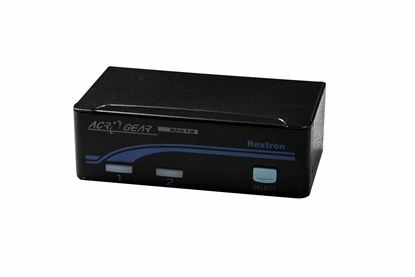 REXTRON 1-2 USB Automatic KVM Switch. 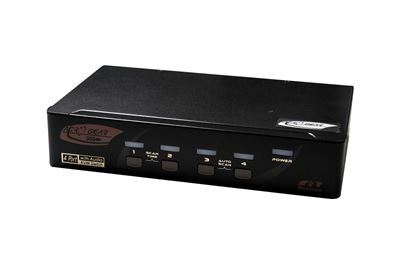 Share 1x Keyboard/Video REXTRON 1-2 USB Automatic KVM Switch. Share 1x Keyboard/Video /Mouse with 2x CPU''s via the USB ports. Includes 2x 1.8m cables. 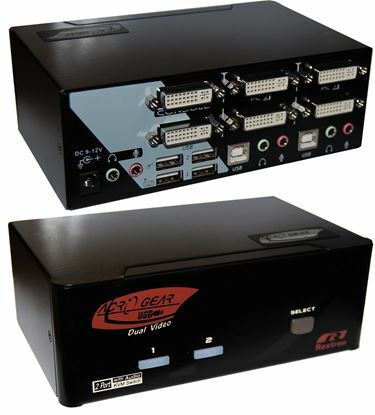 REXTRON 1-4 Automatic VGA/USB KVM Switch. Share 1x USB Keyboard/Mouse REXTRON 1-4 Automatic VGA/USB KVM Switch. Share 1x USB Keyboard/Mouse & VGA Video with 4x CPU''s. Mic & speaker audio ports, Hot Key Support. 4x USB Hub for sharing peripherals between computers. 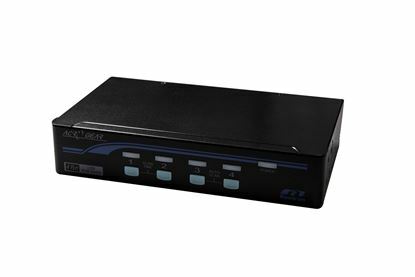 REXTRON 1-4 USB Automatic KVM Switch. 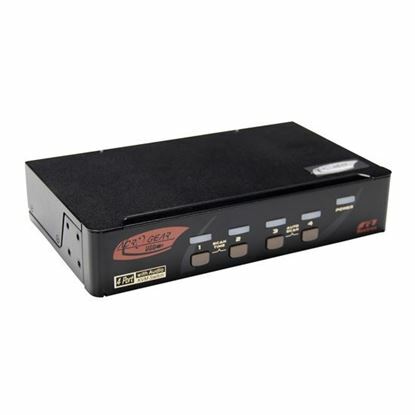 Share 1x Keyboard/Video REXTRON 1-4 USB Automatic KVM Switch. Share 1x Keyboard/Video /Mouse with 4x CPU''s via the USB ports. 4x 1.8m cables included. REXTRON 2 Port USB KVM Switch. 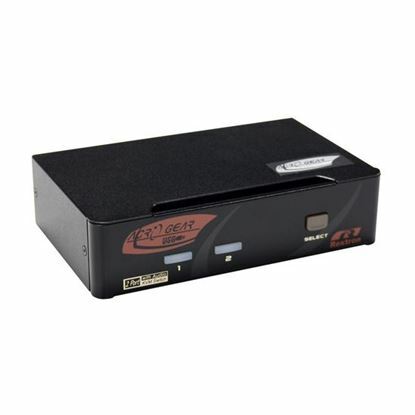 Share 1x USB k/b/USB Mouse/Video REXTRON 2 Port USB KVM Switch. Share 1x USB k/b/USB Mouse/Video with 2x PCs. Supplied with 2x 1.8m all in one cables. 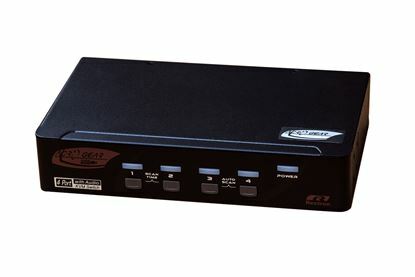 REXTRON 4 Port USB KVM Switch. Share 1x USB k/b/USB Mouse/Video REXTRON 4 Port USB KVM Switch. Share 1x USB k/b/USB Mouse/Video with 4x PCs. Supplied with 4x 1.8m all in one cables. REXTRON 2 Port Dual DisplayPort USB KVM Switch with Audio. Dual REXTRON 2 Port Dual DisplayPort USB KVM Switch with Audio. Dual DisplayPort Max res. 4K60Hz. USB console. Front panel computer selection. REXTRON 2 Port DVI/USB KVM Switch with Audio, Black Colour. REXTRON 2 Port DVI/USB KVM Switch with Audio, Black Colour. 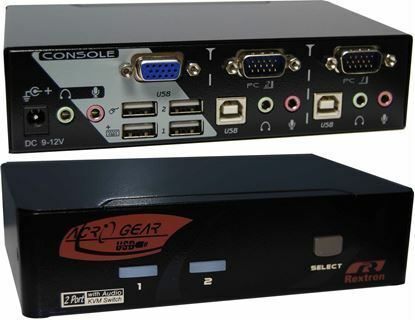 REXTRON 2 Port HDMI USB KVM Switch with Audio. USB Console. Full REXTRON 2 Port HDMI USB KVM Switch with Audio. USB Console. Full HD (1920x1080). 7.1 Channel High Definition Audio. Cables not Included. REXTRON 4 Port Dual DisplayPort USB KVM Switch with Audio. Dual REXTRON 4 Port Dual DisplayPort USB KVM Switch with Audio. Dual DisplayPort Max res. 4K60Hz. USB Console. Front Panel Computer Selection. REXTRON 4 Port Dual-View DVI/USB KVM Switch with Audio. 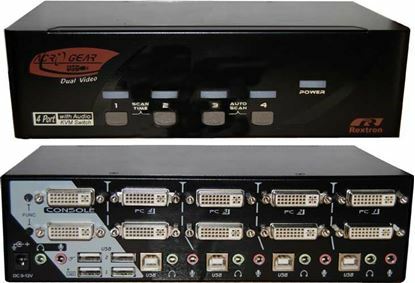 REXTRON 4 Port Dual-View DVI/USB KVM Switch with Audio. Colour Black. REXTRON 4 Port DVI/USB KVM Switch with Audio, Black Colour. REXTRON 4 Port DVI/USB KVM Switch with Audio, Black Colour. REXTRON 4 Port HDMI USB KVM Switch with Audio. USB Console. Full REXTRON 4 Port HDMI USB KVM Switch with Audio. USB Console. Full HD (1920x1080). 7.1 Channel High Definition Audio. REXTRON 8 port DVI USB KVM Switch with OSD and hot keys. Max Res: REXTRON 8 port DVI USB KVM Switch with OSD and hot keys. Max Res: 1920x1200.